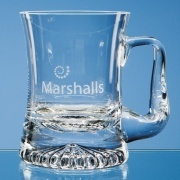 Large 1.2 pint / 0.67ltr capacity. 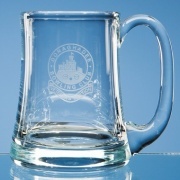 Golf ball dome in base. 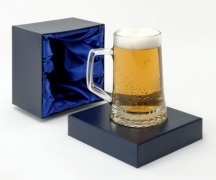 1 litre (1.75 pint) capacity. 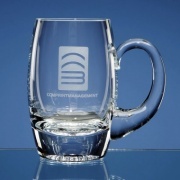 Concave body with thick base. 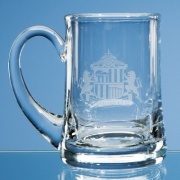 Capacity: 0.255ltr / 4/5ths pint. 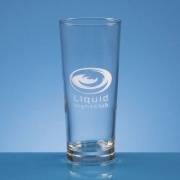 0.4ltr / 14fl oz capacity. 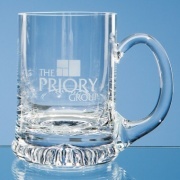 Thick glass base & handle. 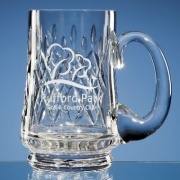 Half pint / 0.27ltr capacity. 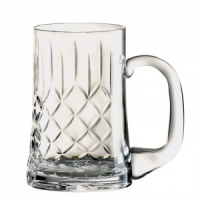 Half pint / 0.225ltr capacity. 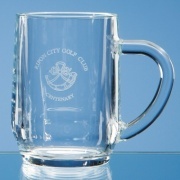 0.45ltr / 4/5ths pint capacity. 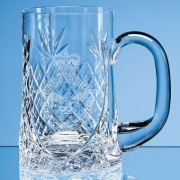 This selection of fine quality crystal tankards and glass tankards is offered with laser etched engraving options and fixed price delivery from Crystal-Awards-Supplier. 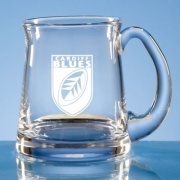 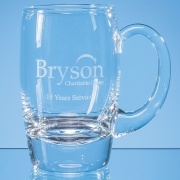 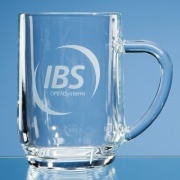 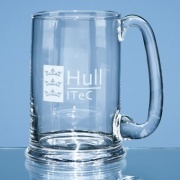 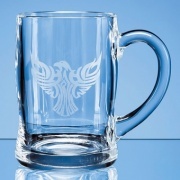 This means you can customise your glass pint tankards to create personalised gifts or branded corporate items, and the delivery fee stays the same regardless of the quantity or weight of crystal tankards ordered. 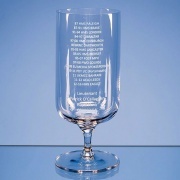 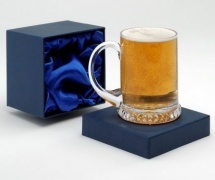 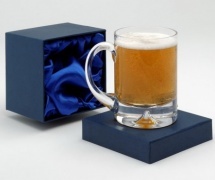 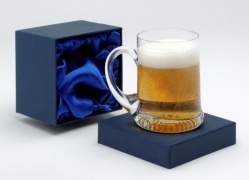 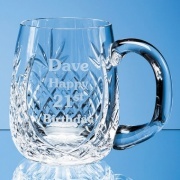 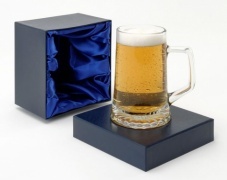 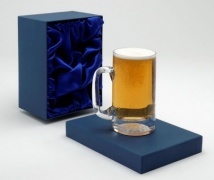 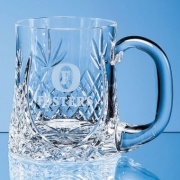 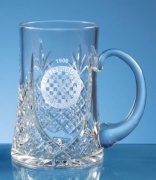 Tankard engraving allows you to create unique and personalised tankards, ideal for 18th and 21st birthday gifts, as 40th and 50th birthday gifts, and to commemorate other special occasions such as gradutions, anniversaries and retirements. 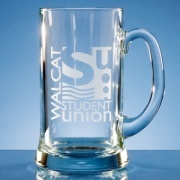 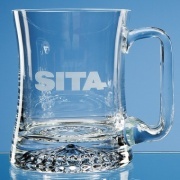 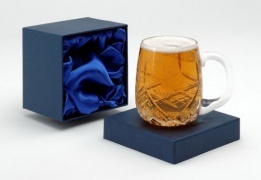 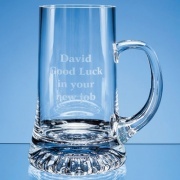 A personalised glass tankard is a gift that a man will cherish for life.